Whether it’s a driving holiday or you’re moving abroad, if you want to take your vehicle to Europe either permanently or temporarily then you will have to plan ahead a bit. Driving your car yourself is entirely possible, but sometimes hiring a professional car transport to Europe service is preferable. If you’ve already relocated for example you will need a European car importer. Within the EU the rules for importing and exporting cars have been relaxed somewhat, but each country has its own intricacies so researching the import policies of the nation in question should be your first job! Most EU nations will charge some form of import duty on vehicles. New cars especially (usually those under 6 months old or with less than 6000km on the clock) are usually subject to much heftier charges then their older counterparts. Older vehicles can usually be imported duty free so long as you don’t intend to sell them in the first year. Knowing what sort of taxes you can expect to pay will help avoid any nasty surprises at the border! Different EU member states have their own policies, but carbon taxation and charges for larger vehicles are common – as is having to pay for these tests to be run. If you’re moving permanently then you should get a certificate of permanent export from the DVLA, also known as a V756. Have your vehicle registration and ownership documents to hand as well, as you will need them when importing in addition to your insurance details. Before transporting your car you should implement a few checks to ensure that the transportation goes off without any issues. Washing your Car: Cleaning your car is important for two reasons, it will help your paintwork survive the transportation – dust and grime makes it more prone to scratching (waxing your car is also helpful) . It will also help you notice any damage that is caused to your motor in transit. Technical Checks: Having an up to date MOT to make sure your auto is up to standard will be important when exporting it, as you likely won’t get past customs with an unsafe car if it’s registered as a driving import. Other Preparations: Make sure you remove any valuables from your car when it’s going to be transported to Europe, anything inside the vehicle won’t be covered by a transporter’s insurance. As mentioned getting a car to Europe can be as easy as driving it there, however if you have already moved abroad and need to import your vehicle then you have a bit of an issue! 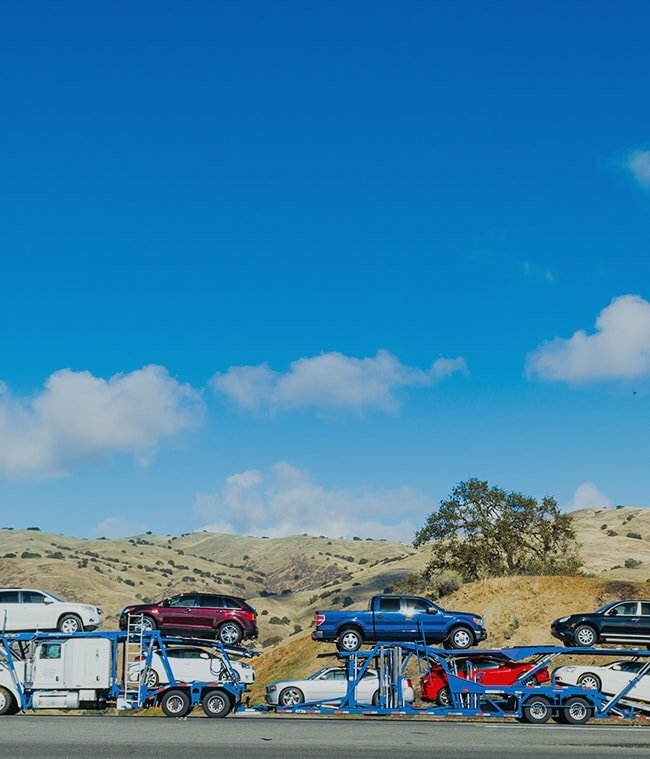 It’s not feasible to go and collect your car and drive it back, so employing a professional European vehicle transport company is your best bet. Driven Car Delivery: When you need a single car imported on short notice a trade plate driver can be invaluable. A contracted individual will simply drive your car to you from its point of departure. The use of trade plates means you don’t even need to have road tax. If buying the car online, from eBay for example, then you will need to organise the third party service between the driver and seller, and make sure all parties agree to the service. Single Car Trailer: This is usually the preferred mode of car transport to Europe, it offers a flexible, safe and timely solution to your car shipping needs. Flexibility means that the companies will usually be able to cater to your needs time-wise and also can accommodate special requirements when it comes to loading or protecting your car. This service tends to be more expensive than other methods, but a good deal can still be found from drivers who need to travel a similar route already. Multi-car transport: Multiple cars can be shipped at once with this method, they don’t all have to be yours don’t worry! It’s entirely possible that your car can join a convoy of other vehicles on their way to Europe, giving you the opportunity to share the cost of shipping with others. The only issue with large transporters is that they cannot deliver your car very locally, so it may be that you have to pick up your vehicle from way out of town. Finding the best international car transportation deal can be a difficult ride, surveying all of your options and requesting quotes from many different services can make the task way more arduous than it needs to be. By listing your car move online with us you have access to thousands of transport providers who will be able to quote on your car transport to Europe. Simply list where your car is going and when you need it moved to get quotes from available transporters. Car delivery to Europe companies will compete to offer you the best quote, you can choose the transporter that suits you best, which may be the cheapest – additionally you can see the feedback other users have given them for other jobs completed through Shiply. When your vehicle arrives at its new country you should check it to make sure it hasn’t done more miles than you expect and especially that it isn’t damaged. Your first port of call should be the customs and excise office of your new nation, they will let you know of any charges that are applicable (this is where your documents come in handy), customs will also point you in the right direction for any vehicle testing you might need and for vehicle registry. Please see any of our relevant country-specific pages for more information on importing cars.